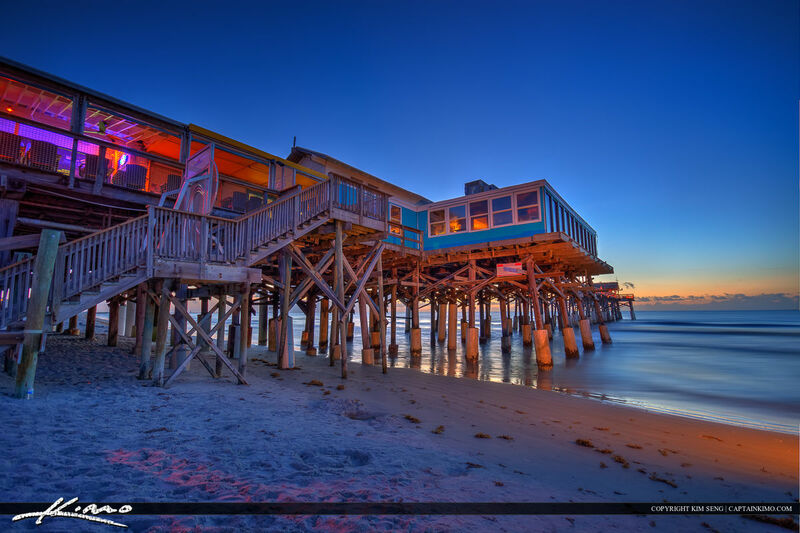 Gorgeous sunrise at the Cocoa Beach Pier by the lifeguard tower in Bevard County, Florida. 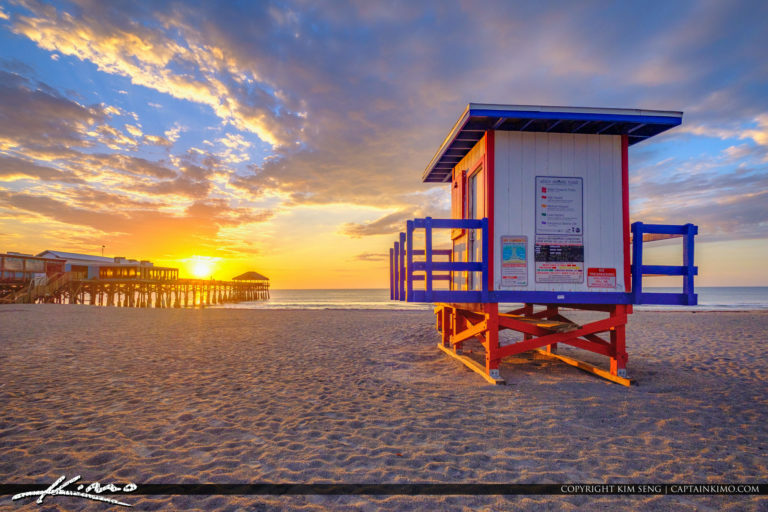 HDR image created using Luminar 2018. 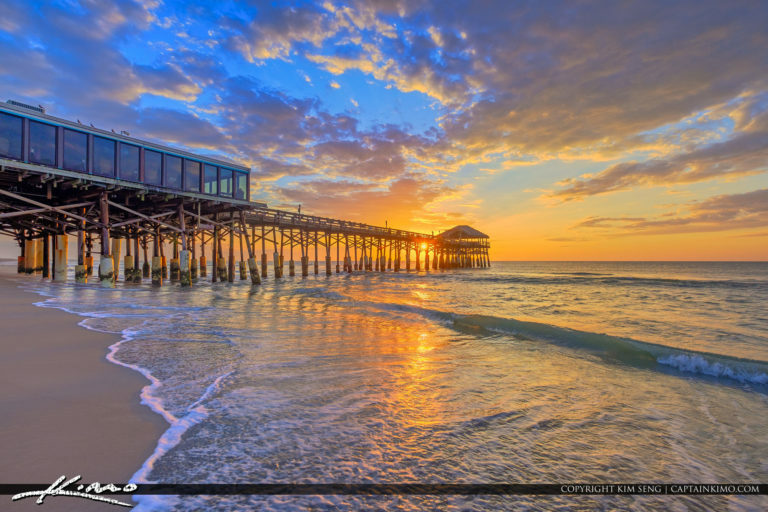 Beautiful sunrise at the Cocoa Beach Pier in Cocoa Beach Florida Brevard County. HDR image created using EasyHDR software. 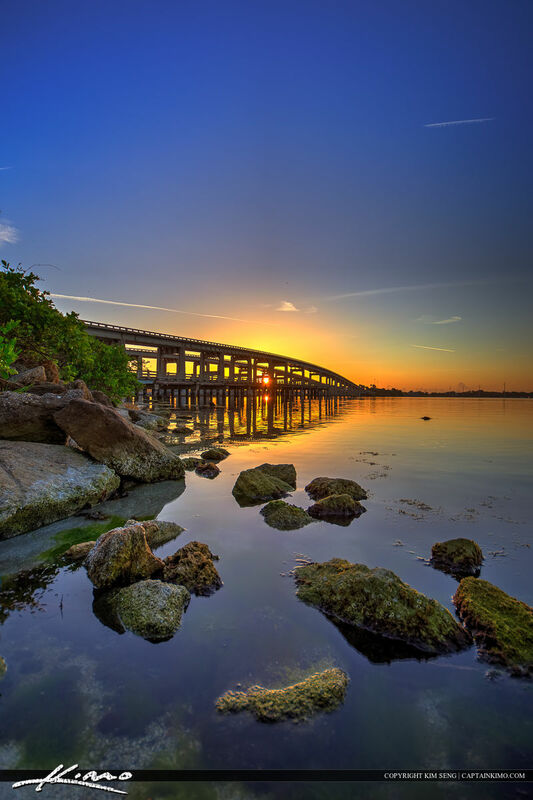 Sunrise from Cocoa, Florida at the Lee Wenner Park overlooking the Merritt Island Causeway and Indian River. HDR image created in Photomatix Pro and Topaz software. 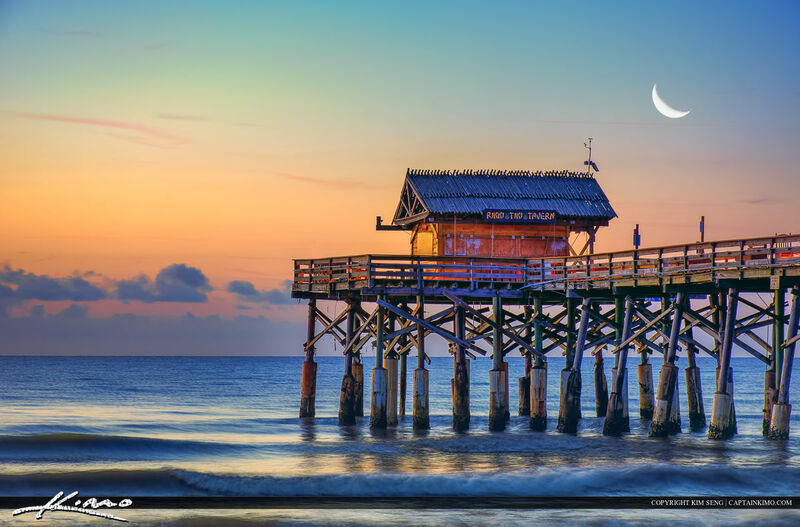 Before the sunrise at the Cocoa Beach Fishing Pier along the beach in Brevard County, Florida. HDR image created in Photomatix Pro and enhanced with Topaz software. 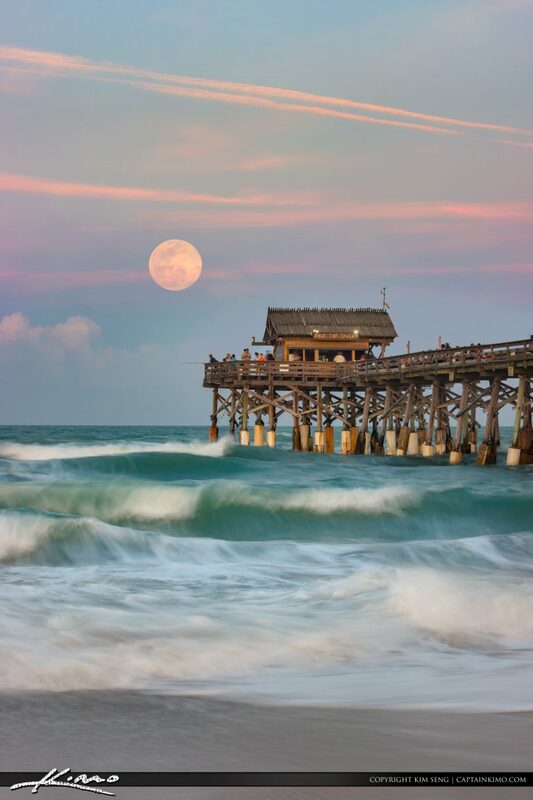 Moon rising over the ocean at the Cocoa Beach Pier in Bevard County, Florida. HDR image tone mapped in Photomatix Pro and enhanced with Topaz software.